Below there are some photos of my recently acquired and rare Tempic-MBO (Münchner Büro Organisation) watch. 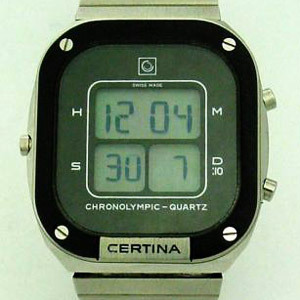 This watch is an early -1977 Year - and a rarely seen cooperation between the Tempic brand ('Tempic' was the house brand of the '70s famous mail order company Neckermann in the West Germany) and MBO (Münchner Büro Organisation brand - a successful computer and digital watch seller - in the '70s - of the famous worldwide brands in the West Germany). 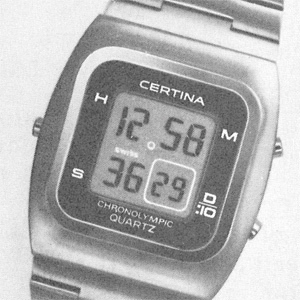 It seems that both companies politics, in the early '70 until cca 1979, was to sell in the Western Europe, high quality watches produced and assembled by the important Swiss brands under their own names (e.g. either Tempic or MBO or a rarely seen cooperation watches between them - the Tempic-MBO watches). 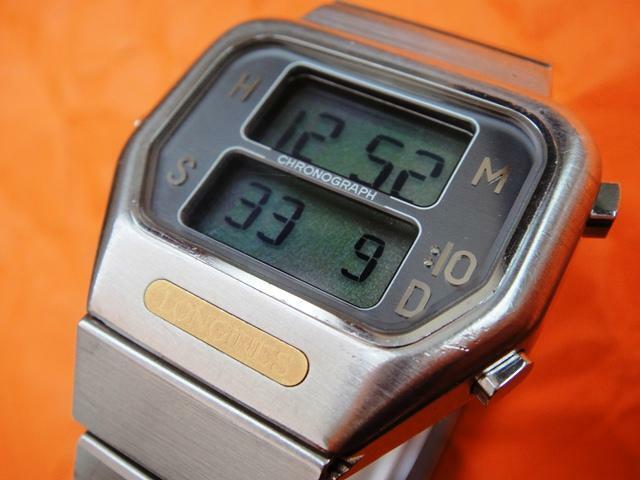 But I have to agree that their branded products may look more like high quality copies, with a very similar design and the same Swiss movements of the successful watches from the more known brands, such as Longines/Wittnauer, Certina, Avia, Catena etc. But what I have to underline, is the beauty of the "rounded" LCD-font used in the ESA 934 611 and in some of the ESA 934 711 modules (please see the photos in my attachments and in the above presented links), a design that I really consider that is quite unique for the early LCD modules. 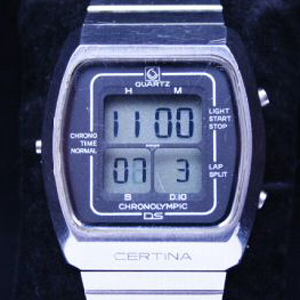 NIce history and thx for the pictures...indeed very nice watch with a loud melody alarm. 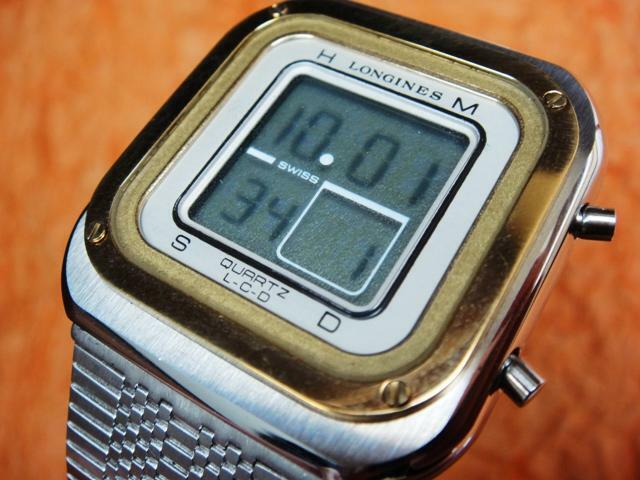 It seems that the expensive Swiss ESA 934 611 modules from 1977, worth their price!